Stress-inducing events can emerge from our lives at anytime, anywhere, and it’s no secret how significant of a health impact it can have day after day. 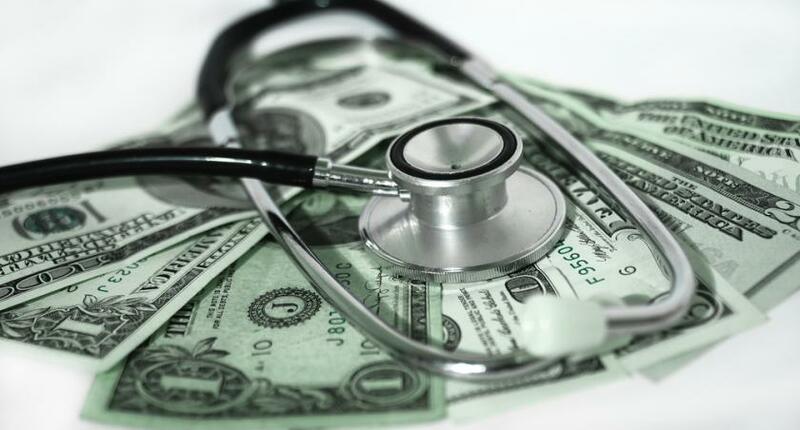 Ironically, Americans pay the highest in health care costs yet are more stressed about health-related issues than anything else, according to researchers at the Robert Wood Johnson Foundation and the Harvard School of Public Health, who partnered up with surveyors at NPR. After examining which factors stressed people out the most in a nationwide poll conducted in March and April of this year, researchers found nearly 50 percent of people experienced a major stressful event in the last year alone, and a quarter of them dealt with that great stress within the last month. An astounding 43 percent of Americans report health-related problems are stressing them out the most, with work problems following in second place at 13 percent, nine percent of the population finds life changes to be the main cause of their stress, and six percent of the population are stressed out about their personal relationship problems. While health problems stress us out, the stress of stressing causes more health problems. Stress causes headaches, stomach problems, sleep problems, depression, anxiety, irritability or anger, overeating or undereating, drug or alcohol abuse, and chest pains, according to the Mayo Clinic. We’re experiencing all these health issues for stressing out about health? What may stress Americans out more to hear is that Americans spend more on health-related costs than any other country in the world. Even comparing the U.S. to 10 other top countries, we’ll realize our health care system’s high price tag doesn’t even buy us the best care. When the Commononwealth Fund looked at the numbers released from the World Health Organization (WHO) and the Organization for Economic Cooperation and Development (OECD), they found Americans ranked the lowest in access to co-related problems, efficiency, equity, healthy lives of its citizens, and overall ranking of care. The data comes from patients’ and physicians’ survey results on care experiences and ratings on 11 different factors along with the total health spending per person. Each American spends on average $8,508 while the next closest country is Switzerland and they’re only spending $5,643. Something about the American health care equation doesn’t add up. Somewhere there is inefficiency, money is being wasted, health problems aren’t being treated to the best of our abilities, and it’s stressing everyone out. The UK comes in first place with overall ranking and also takes first for nine out of the 11 various dimensions of health care, but only spends $3,405 per person; that’s more than $5,000 less than we spend. How do we cope with it all? We’re dealing with our stressors in very different ways. Seventy-one percent of Americans spend more time with their family to alleviate stress, while 57 percent rely on meditation or prayer to get them through it. Another 57 percent report spending more time outdoors helps them, and 55 percent say eating healthy was their way of coping and 49 percent exercise. Other stress reducers were spending time with a pet, spending time on a hobby, getting a full night’s sleep, prescription pain medication use, receiving professional help, taking time off work, paying someone to do household tasks, or following a formal self-help program. Almost 70 percent of those surveyed reported their most recent high stressors had a positive effect on certain aspects of their lives. Stress forces people to learn coping skills and may cause them to learn new hobbies, develop good exercise habits, and create a hyperaware state thanks to the adrenaline stress triggers in the body. Coping skills are important to develop, but paying for the high price of poor health care cannot be healthy.